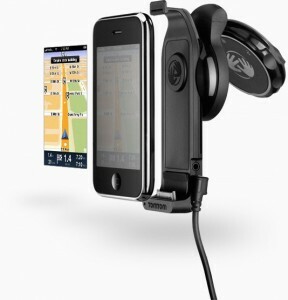 Many users are waiting for iPhone navigation software from TomTom. But it looks like TomTom will create a complete solution with a hardware part. They plan to create TomTom GPS Kit that will have additional GPS (more accurate), docking station, charger and probably a loudspeaker. The devices that will support this kit are iPhone 3GS, iPhone 3G and even iPod Touch and iPhone 2G.